Hebrew scholar Ken Hanson tells the enthralling story of Kabbalah – the sacred writings of the Jewish mystics. It is a story that took place through three millennia as Kabbalah gave rise to the mystic strains of Judaism and Christianity. Hanson follows this amazing history, from the appearance of early Kabbalists like the mysterious Teacher of Righteousness of 200 B.C. to Brooklyn’s Hasidic rabbis of today. He explores the meaning of Kabbalist mysteries: the sacred Name of God with its immense creative power, secret understandings of the Creation, the Kabbalistic art of numerology, and the practice of magic that developed from Kabbalistic studies during the Middle Ages. 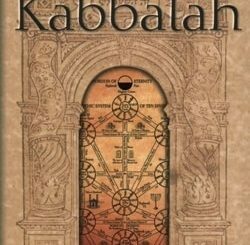 Kabbalah weaves together the content of Kabbalist writings with the story of its writers, sages whose travels lead us on a genuine adventure across many lands and cultures.